Features two pillows in one. 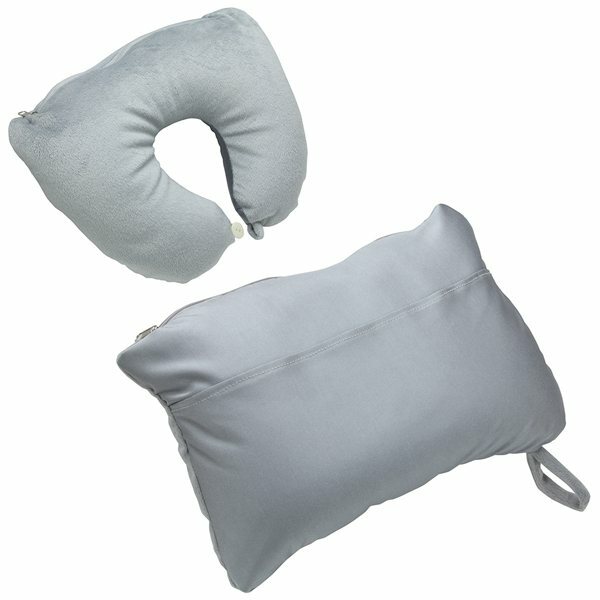 Travel pillow with outside pocket. Unzips to convert to a neck pillow. One side is covered with ultra-soft plush fleece fabric. I wish the microbead stuffing was more filling, making the pillow a bit more firm. Overall, I like the design of being able to invert it from a neck pillow to a regular one, and the texture is very soft. Alicia is wonderful to work with, She is helpful and always gets what I need accomplished. I know that I can depend on AnyPromo for a quality product. I look forward to a continued business relationship with AnyPromo. Many thanks. thanks for the great experience. They worked great and were cute. It's very portable. I loved the different bright colors with my logo. The kids use them everyday.